Communities There are no products in this category. 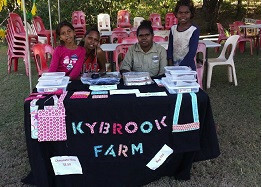 KOWANYAMA is situated on the beautiful unique region of the Mitchell River delta. The country consists mainly of wetlands and delta mangroves in the north, extending to forest country of the central peninsula. Kowanyama means “place of many waters” in the Yir Yoront language. The community includes the Kokoberra, Yir Yoront [or Kokomenjen] and Kunjen clans, who each have language and other cultural differences. Kowanyama is not situated on any tourist drive as such, therefore, jobs are often limited & the transport of food & necessities makes it expensive to purchase ammenities. Minjilang is the name of the Aboriginal town on Croker Island, situated just off the Cobourg Peninsula, approximately 250km north-east of Darwin. Situated in the luminescent Arafura Sea, Croker Island is home to abundant wildlife and flora that inhabit the beaches, wetlands, swamps and native bushland. Approximately 300 people live on Croker Island, of whom 150 are the only speakers of the Iwaidja language. Other major languages spoken are Mawng, Kunwinjku and English. Due to all perishables & necessities having to be barged in, the cost of living is very high in Minjilang, with no tourism as such. Jobs are very minimal & social enterprise is what will help this community become independent & alter the financial struggle that exists. West Arnhem Regional Council provides a range of local government services in Minjilang including road maintenance and repair, parks and gardens maintenance, sport and recreation services, access to Centrelink, community care programs and other services on behalf of government agencies. Pine Creek, the Gateway to Kakadu National Park, is situated at the junction of the Stuart and Kakadu Highway. Just an easy two hour drive south of Darwin and only one hour north of Katherine, Pine Creek is one of the Northern Territory’s oldest towns. Pine Creek is a small northern community in the Victoria Daly Regional Council. It is a tough resilient community that has faced a cyclical history of boom and bust. Over the past century, Pine Creek has been a significant player in the economic life of the Top End, with housing and community service infrastructure in the town expanding in step with mining activity. Pine Creek owes its existence to the Pine Creek Geosyncline, a giant intrusion of mineral rich ore seams. It extends northwest from Pine Creek to just south of Adelaide River. This rich ore body has been slowly eroding over the aeons, depositing traces of alluvial minerals throughout the region, in creeks, rivers and flood plains. It was the discovery of alluvial gold in these deposits by construction workers on the Overland Telegraph Line in 1870 that led to the Development of Pine Creek. Pine Creek still relies on mining for its survival with the majority of the population involved in mining or related industries. Tourism has recently developed into an important part of the town’s economy as facilities for travellers have improved. 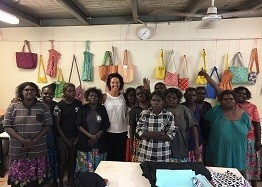 It is part of the Victoria Daly Regional Council and includes surrounding outstations and Kybrook Farm, an Aboriginal community of around 80 people from various tribal groups. The Pine Creek bioregion has a tropical monsoonal climate. Around 90% of annual rainfall occurs during the wet season between November and March. Spatially averaged median rainfall is 1214 mm. The Pine Creek area has a total of 56.75 km of sealed and unsealed roads. Access to Pine Creek Township is via the Stuart Hwy. Excluding natural disasters, such as flooding; this access is all year round. Access to Kybrook Community is via Umbrawarra Rd. This is accessible all year round and is occasionally subject to some flooding, which recedes quickly. There are no registered airstrips in the Pine Creek area. In an emergency, small planes can access the McDonald Airstrip, 15 kms from town. Pre European settlement, the Pine Creek area was home to the people of Wagaman, Asgicondi, Arigoola, and Jawoyn. Surveys have indicated that the largest known complex of Aboriginal quarries in the Northern Territory was established in the region. There are also a number of recorded Aboriginal sacred sites within the area. The language groups of this area are Myili, Jawoyn, Wagiman and English. 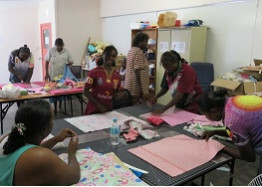 Ngukurr is a remote Indigenous community on the banks of the Roper River in southern Arnhem Land, Northern Territory. A number of different clans and language groups are represented in the town, with Kriol being the main language spoken. 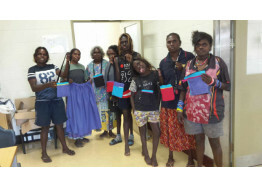 Collectively, Indigenous people in the Roper River area refer to themselves as Yugul Mangi, and the Yugul Mangi Aboriginal Corporation works closely with the Roper Gulf Regional Council to provide services and economic opportunities in Ngukurr and surrounding areas. The town was originally settled by the Church Mission Society in 1908, known then as the Roper River Mission. The mission moved to the present site of Ngukurr in 1940, following a major flood. The government took over management of the town in 1968. Approximately 1000 people live in the township of Ngukurr, which is accessible by air, road & water. Like most communities, jobs can be hard to find & the expense of living away from major towns, makes even the basic necessities costly due to freighting everything in.